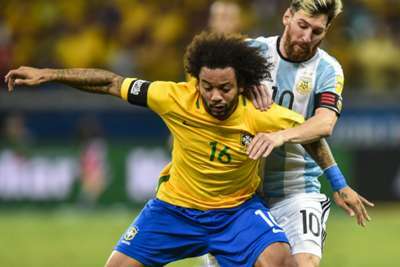 Brazil have allowed suspended full-back Marcelo to return early from international duty to Real Madrid. Marcelo was booked during Thursday's resounding 3-0 win over bitter rivals Argentina and is now unavailable to face Peru, having also collected a caution against Colombia in September. Head coach Tite has called up Atletico Mineiro left-back Fabio Santos as Marcelo's replacement. All three of the 31-year-old's previous caps for Brazil came in 2012.